​Former England goalkeeper Nigel Martyn, who went to two World Cups during his career, has claimed that none of the Three Lions' young stoppers in Russia - Jordan Pickford, Jack Butland, Nick Pope - are quite in the same league as former number one David Seaman. Martyn was an understudy to Seaman at both the 1998 and 2002 World Cups and believes that the Arsenal legend is up there with England's all-time greats and has never been matched in the national team setup since his last appearance 16 years ago. "Dave was a very good goalkeeper, I'd put him in with the likes of Gordon Banks and Peter Shilton," the ex-Leeds and Everton man told Betway. "They were the real three greats that we've had, and the rest of us haven't managed to get to the heights that they've achieved. "Since Dave, we've had many good goalkeepers, but none in his class. I definitely think if I'd come along a little bit later then there would have been more opportunity. That's life." 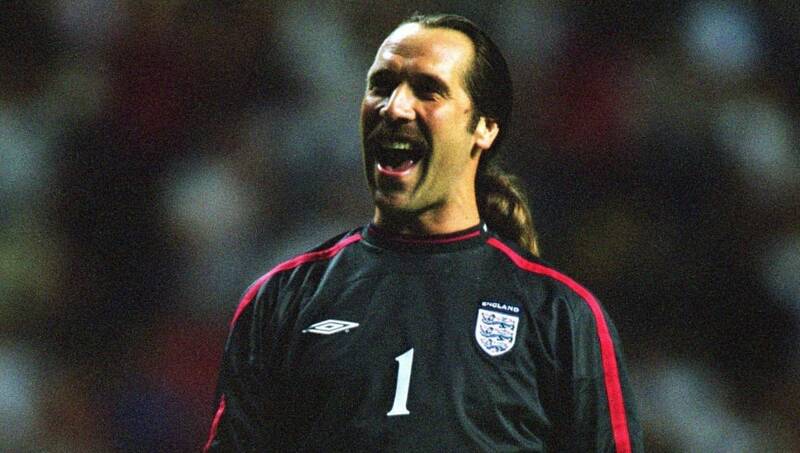 Seaman was infamously lobbed by Ronaldinho in the 2002 World Cup quarter final, which remains a 'what if' moment for England fans to this day. He was 'inconsolable' because of it, Martyn said. "He was visibly upset after the game. It was a case of putting an arm round him and telling him what a great 'keeper he was. All the things that you would expect to be said were said by many people, because he had the respect of the whole squad." Jordan Pickford is set to be Gareth Southgate's number one this summer, but Martyn believes that won't stop Jack Butland and Nick Pope from being among the hardest trainers in the group, as was the case for himself and the other substitute goalkeepers back in 1998 and 2002. "Nobody wishes injury or a sending off or illness or anything on anybody else, but these things can happen," Martyn, who got just 23 England caps in 10 years because of stiff competition, recalled. "While we were out there [at the World Cup] we trained really hard. The two other goalkeepers - myself and Tim Flowers in '98, and myself and David James in '02 - probably trained harder than just about anybody else. "We were doing extra sessions, training on the day after the game when the lads that had played had a day off. We would train really hard again so we were prepared and ready if needed."